Our steak knives have a fixed blade (full-tang), a nicely decorated spring and of course the French traditional Laguiole bee. grain and colour could be differ from picture! 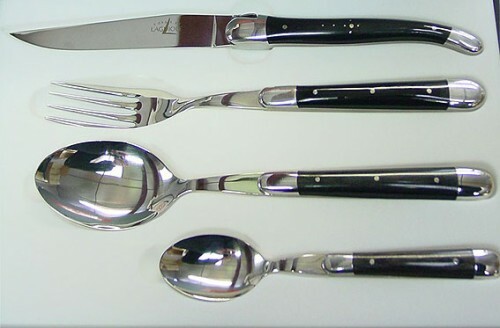 Forge de Laguiole Cutlery Set 4-pieces Black Horn INOX has not been evaluated yet.